I’ve been haunting the Coming Soon page at Dreamspinner for the past few weeks now. 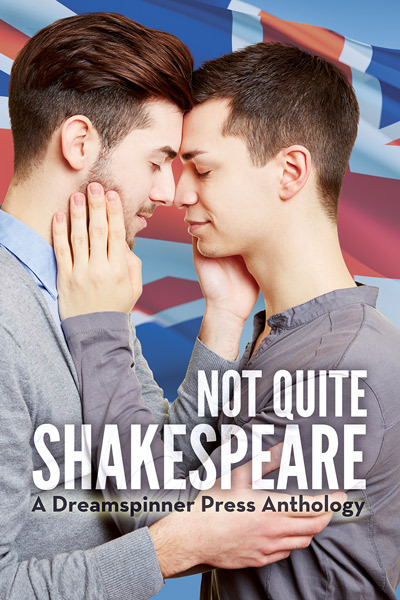 I’m delighted at long last to be able to announce that the Not Quite Shakespeare Anthology is now available for pre-order on Dreamspinner Press! Yay! I’m admittedly a bit of an Anglophile and I have been waiting impatiently for the release of this anthology! 15 short stories from some of your favorite M/M authors: all taking place in the lovely UK. I have a story in the anthology titled Chanctonbury Ring, and my boys–meeting on the South Downs after years apart–rekindle their old relationship in a stable where they take shelter from a thunderstorm. There’s a little bit of everything for everyone in this charming set of smokin’ stories! Be sure to check it out! Not Quite Shakespeare is available now for pre-order, and will be released on June 2, 2014! This entry was posted in Uncategorized and tagged announcements, Dreamspinner Press, Not Quite Shakespeare, Sarah Madison, upcoming release, writing by Sarah Madison. Bookmark the permalink.